You are here: Home / About Publisher Michael Mills, Esq. Mr. Mills practices in the area of civil litigation and appeals, with particular experience in matters involving insurance coverage, insurance defense, trucking liability, premises liability, products liability and defense of personal injury. He is a member of the Defense Research Institute, Council on Litigation Management, and Trucking Insurance Defense Association. Mike Mills has represented coverage and defense clients for over 25 years. Mr. Mills is licensed to practice before the Nevada Supreme Court, Arizona Supreme Court and the Utah Supreme Court. He is also licensed to appear before the United States Supreme Court, the U.S. District Courts for the Districts of Nevada and Utah, as well as the U.S. Court of Appeals for the Ninth Circuit. 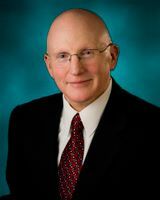 Mr. Mills is a 1983 graduate of the University of Utah College of Law. Upon graduation, Mr. Mills served on active duty with the U.S. Army in the Judge Advocate General’s Corps. In 2005 he retired from the Nevada National Guard as a Lieutenant Colonel with 22 years of service, both active and in the Guard and Reserve. Upon retirement he held the position of the Nevada State Judge Advocate. Most recently, Mr. Mills has created 3 Blogs for the benefit of the insurance industry. He serves as editor and publisher of the Nevada Insurance Law Blog, the Nevada Coverage and Bad Faith Blog and the Nevada Trucking Law Blog.